Trevan Salmon bust through a white room of snow on Mount Currie in Pemberton British Columbia. I was making the rounds over the last couple of weeks hanging some new prints around town. If you are in the neighborhood make sure to stop in to 21 Steps for a beer and some delicious food and check out my new work hanging on the walls. The Whistler Arts Council is running the photo exhibit Out Of Bounds again this year with a great list of talented photographers involved I really am excited to see everyone’s work. 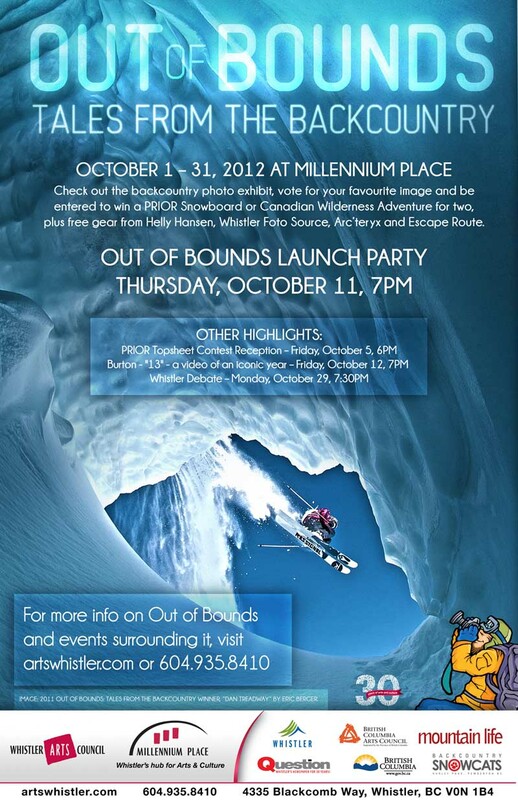 The launch party is on October 11th at 7pm at Millennium Place stop in and check out all the pieces. One of the four I entered is above of Trevan Salmon.